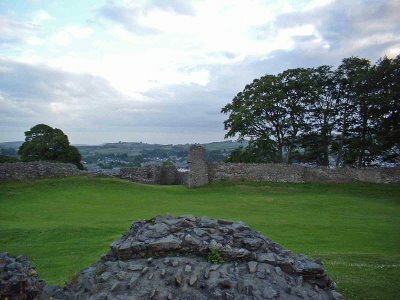 Kendal Castle is Kendal town's third major fortified site (not including pele towers and lesser mottes) The first site was the Roman fort at Watercrook on the edges of the town the second site was the motte and bailey castle of Castle Howe......and the third, and most impressive is the castle itself. The castle splits the town in half today, with the majority of the the urban sprawl to the West along with the river Kent, and a large chunk of the town's housing developments to the East. 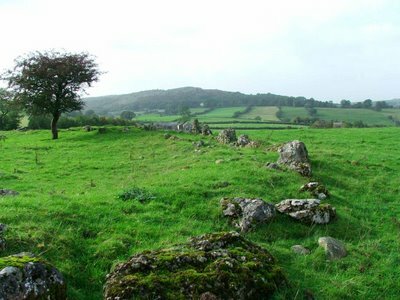 Castle hill, upon which the remains sit, forms part of a drumlin field formed after the glaciation of the Lakeland fells. 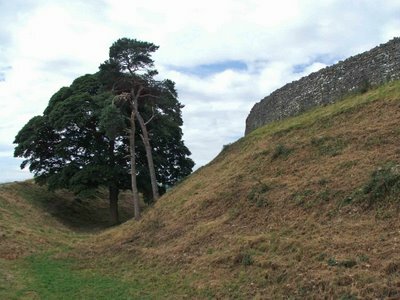 The tear shaped hill lies on a North South axis, with the masonry remains of the castle at the South end where the hill's slopes are at their steepest. 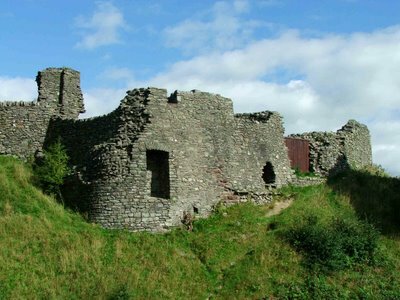 The ruins are now a scheduled monument, with the remaining stone masonry, and an outer bailey area to the North of the castle incorporated into the protected area. 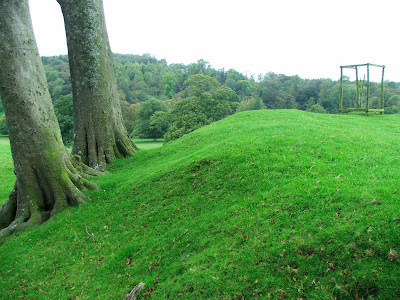 This bailey area is roughly circular in form, and is about the same size as the internal area of the castle remains. 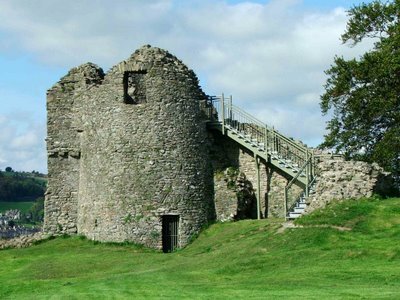 The castle was once the centre of a much larger medieval park, with mills at the foot of the castle to the North West, and park land to the East. Much of this land is now occupied by housing, industry and cemeteries. 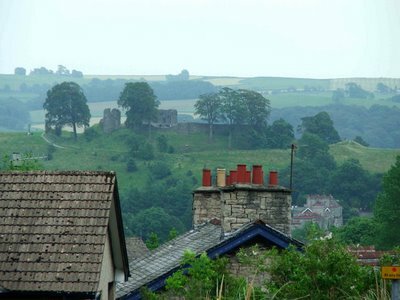 Today the castle is a familiar Kendal landmark, visible from much of the town. It is a recognisable town icon, being used on company signage and tourism literature. The castle is visited by many tourists each year, and the local population use it daily. There are a number of important standing remains at the site, many of which are readily identifiable. The best footpath to take, is from Aynam Road, along Sunnyside Street and into Parr Street. From here, the footpath enables you to approach the castle remains from the South West, presenting good views of the walls as you climb the steep slopes from Parr Street. From this approach, the first pieces of the castle that you see are the remains of the South Tower. This was probably an additional entrance to the castle, otherwise known as a Postern. 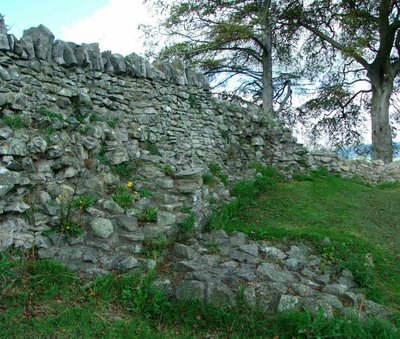 There are good examples of posterns (defensible entrances or breaks in a wall) in the York articles on this Blog!! This entrance would have allowed easy access from the town below and also from the parish church over the river. 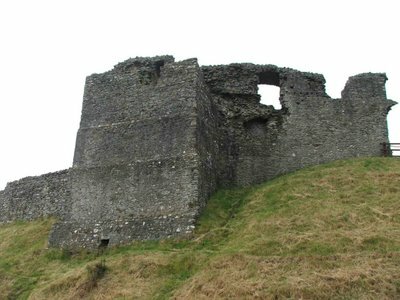 This portion of the castle is probably one of the earlier parts of the structure, and has even been described as an early keep. There are hardly any traces of the ground plan of this building. Walking North now, and keeping the castle to your right, a portion of curtain wall joins the South Tower with the remains of a half round drum tower. This small tower would undoubtedly have served as a guard post or lookout. All that remains of this structure now, is the semi circular wall jutting out from the curtain wall. 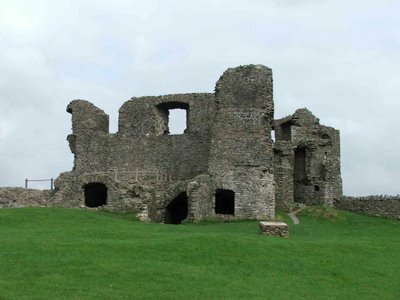 Inside the castle, the drum tower is hardly visible at all, although substantial curtain wall remains can still be seen. Between the drum tower and the next tower, none of the curtain wall exists above ground. 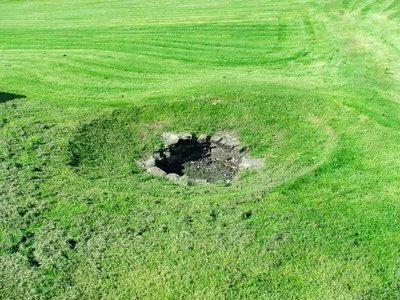 However, the remains of the footings can just and so be seen below the turf. Continuing North again, and still keeping the castle to your right, the next structure is the round North West tower. This tower perhaps best demonstrates the thickness of the curtain wall, as on its South side, there is a large portion of this structure jutting out from its walls. At this point, it would appear that the wall was around five or six feet thick, and that's not taking into account any extra width that may have existed at its base. The tower summit can now be accessed thanks to a metal staircase that has been affixed to the exterior. From the top floor of the tower, the guard robe can be seen, a fire place is still in situ, and the base of a spiral staircase can be seen, indicating that another floor would have existed above this one. From the exterior of the castle, the guard-robe shut can still be seen. Moving round to the front of the castle from here, you come to the site of the gate house. In drawings dating from around 1500, this structure would have been a spectacular double towered building....typical of a medieval gatehouse. All that now remains of this building, is a fallen piece of masonry now half way down into the moat, and a small piece of wall to your right as you enter the castle courtyard. Excavations of this portion of the castle show that there was a cobble floored guardroom or store room set into the curtain wall, probably accessed from within the castle via a doorway running through the wall itself. The earth causeway that now provides easy access to the courtyard, hides the remains of the stone bridge that would once have spanned the moat. 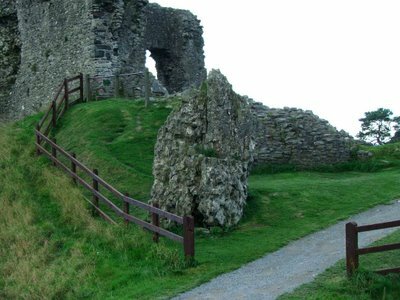 Following the path round, and still keeping the castle to your right, brings you to the largest part of the remains. This building would have been a combination of storage, living chambers, kitchen and buttery in the vaults beneath, and Hall block. The remains are a rough collection of original stone work and repairs spanning many years. The Hall Block would have provided most of the living quarters for any inhabitants of the castle, including the Baron and his family. 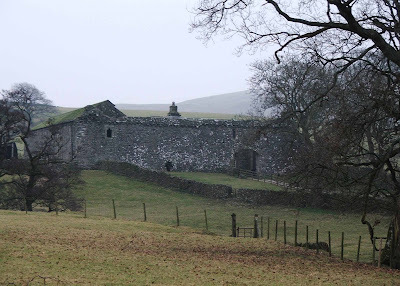 This building would most likely have been used for the administration of the Barony of Kendal. The walls are around 1.45 metres thick in places. This building would have been the the most changed portion of the castle....with pieces added and changed over the course of a few hundred years. The North wall of the Hall block would have served as a continuation of the curtain wall around the castle.....hence the lack of windows in the outside wall. 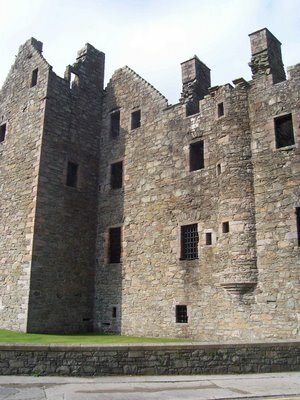 Looking up at the interior of the Hall block, a doorway and passageway can still be seen, leading into the Guard-robe tower. Originally these two buildings would have been separate, but were joined together at some point. 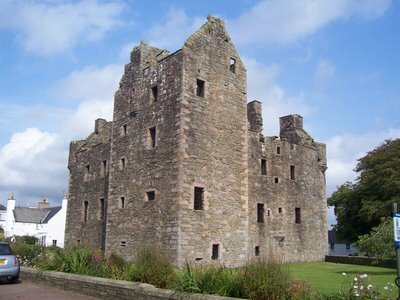 The Guard-robe tower, from the outside of the castle, is a huge four storeyed structure with no windows except the remains of one high up on the fourth floor. It probably formed part of the original castle. 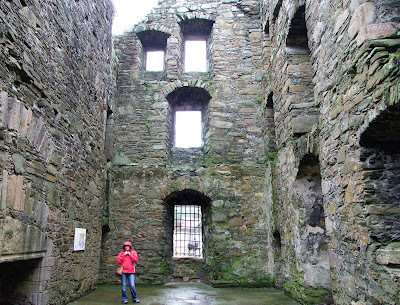 The small chutes in the wall were probably for the disposal of waste and toilet refuse....falling to the moat below. As you look at the Guard-robe tower from the outside, the wall to its left, built of lighter coloured stone, is probably only a hundred years old or so. It is only a foot or so thick, but sits on top of the foundations of a much grander wall which can still be seen beneath the turf. 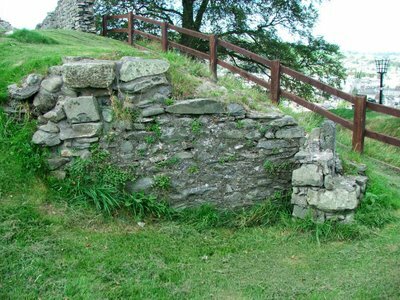 Continuing around the outside of the castle is a wall that was probably built in the 18th or 19th centuries. This portion of curtain wall joins the Guard-robe tower and Hall block to the South Tower. It's built on top of the footings for what was probably the original curtain wall, but is really just a field wall with no defensive qualities at all. 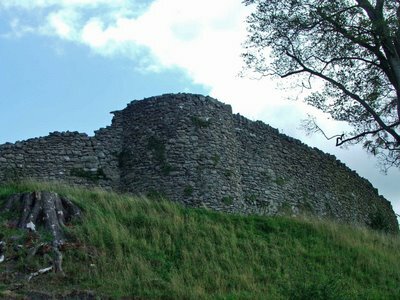 The castle is surrounded on all sides by a deep and steep sided moat. To the East of the castle, the moat would have provided an adequate barrier between the castle and the outer bailey. To the West, the moat enhances the steepness of the drumlin upon which the castle is built. Excavations suggest that the moat was probably the first defensive structure on the hill. 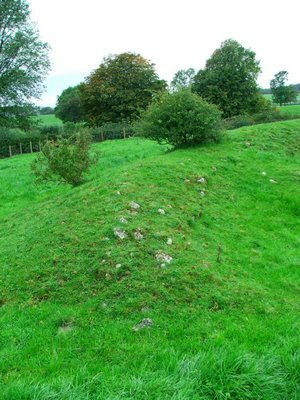 This would suggest that the castle was originally built as a ring work structure, or even a motte and bailey. 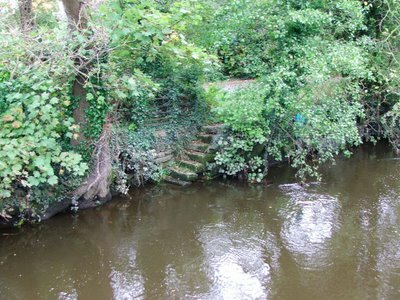 Small pieces of 12th and 13th century pottery have been recovered from the moat, further adding weight to the argument that this was the earliest part of the castle. It's possible that the moat was dug out first to provide a defensive exterior to the site, whilst the curtain wall was erected. It's therefore possible that the portion of the castle outside the walls to the North of where the gatehouse would have been, could have been the bailey. 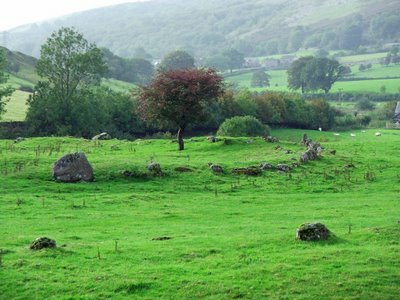 This roughly circular area of land, included in the listed status of the castle, has never been excavated, so it's impossible to determine if this was the case. The moat would have been a dry moat (there are no sources of water to fill it) and would most likely have been used as a rubbish tip, and sewer. Entering the castle across the causeway, takes you into the inner courtyard. This now empty area would most likely once have been filled with timber buildings. Timber doesn't age or weather well over the centuries, so there are no remains visible. Just inside the gatehouse, and to the left, a huge stone building platform lies beneath the turf. It's most likely that this structure would have formed the base for a large staircase that would have provided access to the Hall block and the Guard-robe tower. To the right, and visible on aerial photos, a large rectangular mark can be seen in the turf. It's probably the footings or foundations of a large building. 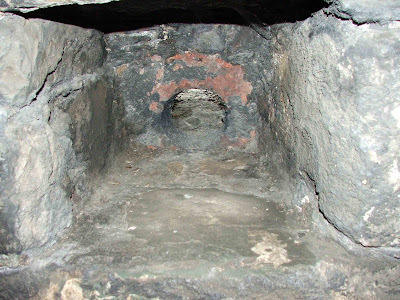 The well on the East side of the castle would have been the only source of water for the inhabitants on a daily basis, in the event of a siege. 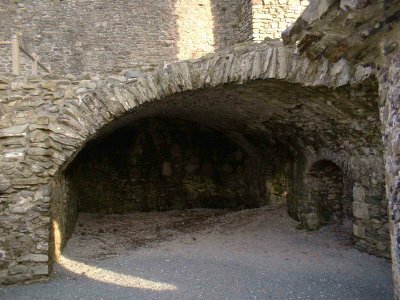 The stone vaults that sit beneath the Hall block and the Guard-robe tower were later additions.....slotted underneath the buildings to provide kitchens, a buttery and no doubt storage. One of the main buildings in the courtyard, would have been the castle's chapel. It's believed that this probably stood alongside the curtain wall on the East side of the courtyard. The foundations may exhibit themselves today as the turf covered ridges that can still be seen. This building has never been excavated. The next installment will continue with some history of the families that lived in the castle, it's relationship with the town, and its demise and eventual ruin. 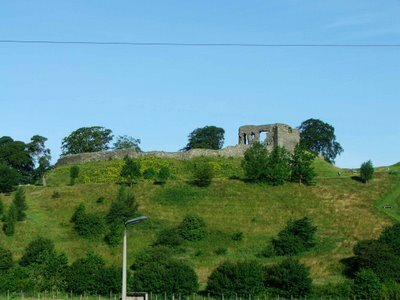 MacLellan's castle sits at the junction of the A711 and the B727. 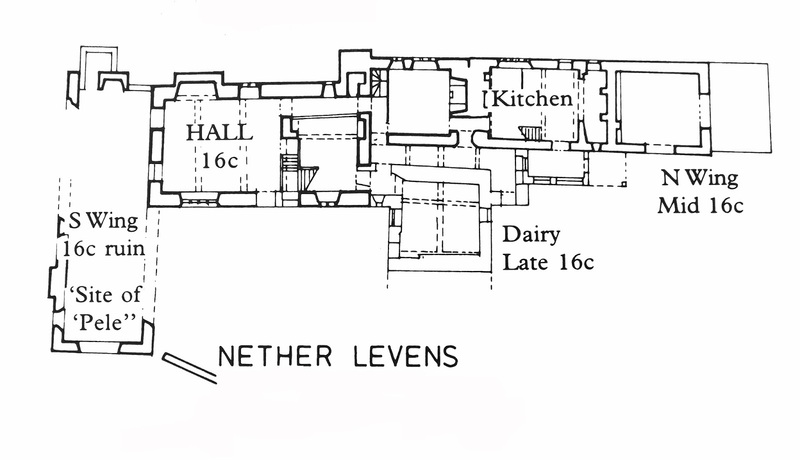 Sometimes known as MacLellan's House, the building started life as the Greyfriars Convent from around 1449. 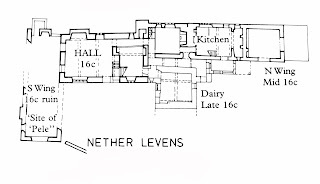 In 1569, Sir Thomas MacLellan obtained the land on which the convent was built, and all but demolished the building, leaving only the chancel of the church standing. This portion of the original building was commandeered as the burial vault of the MacLellan family. 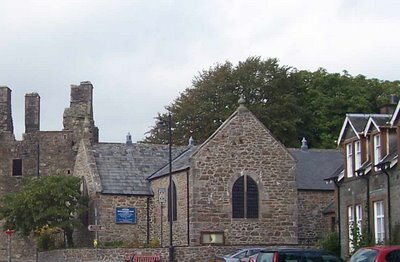 The church remains survive today on the opposite side of St Cuthbert's road. The castle, really no more than a fortified manor house, was built for show rather than defensive prowess, and when completed was undoubtedly one of the most spectacular houses in Scotland. By 1741, the Mclellan family had interests elsewhere, and were probably unable to afford the upkeep of such a splendid castle. They subsequently removed all the furniture, and the roofing materials. 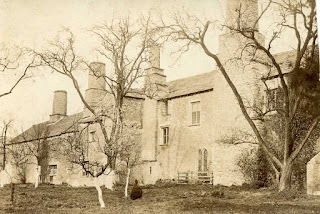 The castle slowly fell into ruin, until it was passed into state care in around 1912. It's now looked after by Historic Scotland. 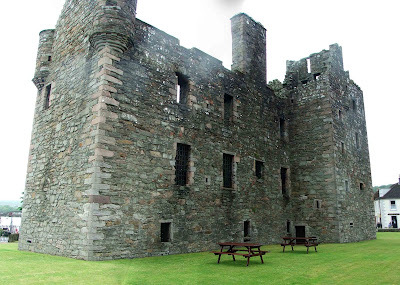 The castle exhibits no signs of attack by anyone....the English or other Scottish clans, and what we see today, is probably the original design. 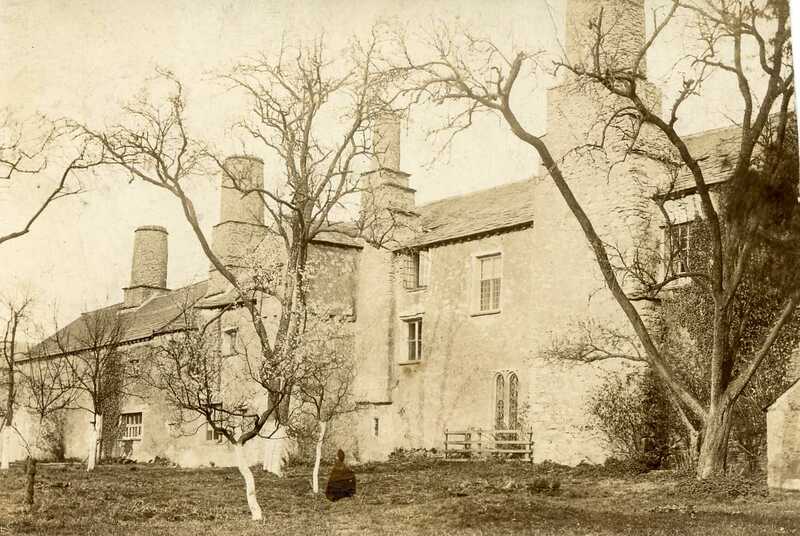 In other words, it hasn't been changed by successive members of the Mclellan family, as is so often the case with castles and large family homes. 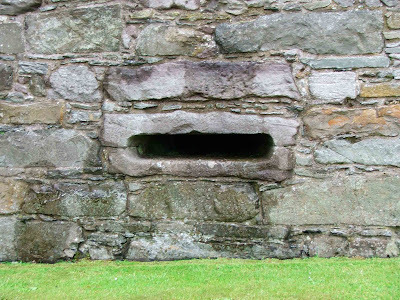 There are a number of gun loops set within the walls of the castle. All are at ground level, and all are situated near to doorways, therefore providing protection of the weak areas of the castle's defences. 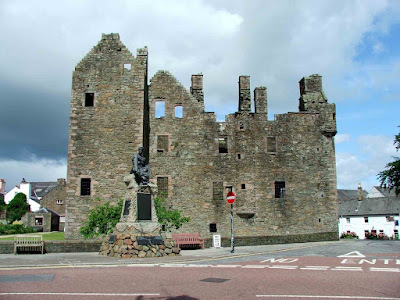 To the West of the castle, the remains of Kirkcudbright's town defences can still be seen, in the form of Castle Dikes\Castle Dykes.....earthworks and ditches, including the remains of a bailey that may suggest that there was an earlier motte and bailey castle. The castle is open daily from April to September. 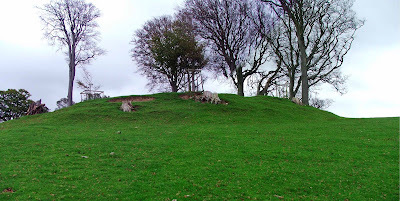 Just off the A6, and a mile to the South of Milnthorpe, the remains of a building platform, sometimes identified as a motte and bailey, can be found in the deer park of Dallam Tower. The remains sit at the highest point overlooking Milnthorpe to the North, Dallam Tower to the West, and Beetham to the South. The remains consist of a severely damaged platform, with an earth and stone bank around the East, South and West edges, a scarped summit and the slight remains of a ditch to the South. 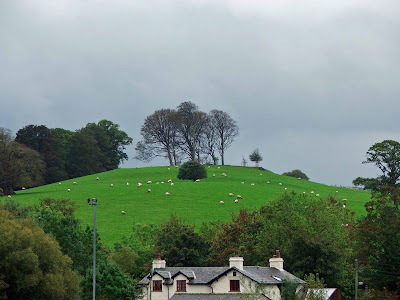 It's thought that the motte was built sometime between 1066 and 1299. The earthworks were levelled in the 18th century, and much of the top of the site was removed. It was during this work that fragments of stone masonry were found, along with human bones, metal and building foundations. 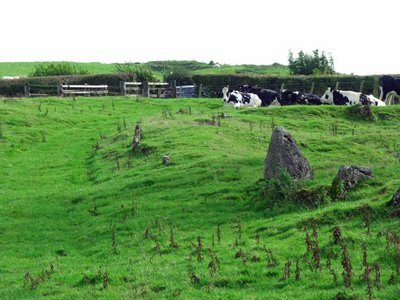 The site has been variously described as a medieval motte and bailey castle, medieval building platform, medieval ringwork (a precursor to a motte and bailey castle) and a fortress dating from anywhere between the 5th and 11th centuries. 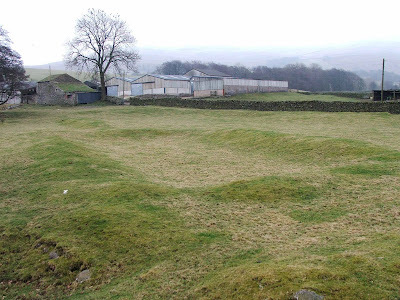 Whatever its archaeological worth, the site is well defined and stands sandwiched between the site of the original pele tower that Dallam Tower replaced, and Beetham Hall. 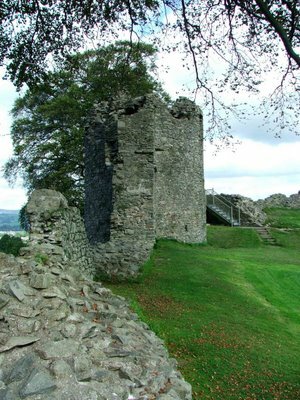 Mentioned in The history and antiquities of the counties of Westmorland and Cumberland (1777) by Burn and Nicholson, the site is described "A little Eastward from the hall, is a small hill, on top of which formerly was a castle of a circular form; and the hill is yet called Castle Hill, and the side thereof, Castle Bank." 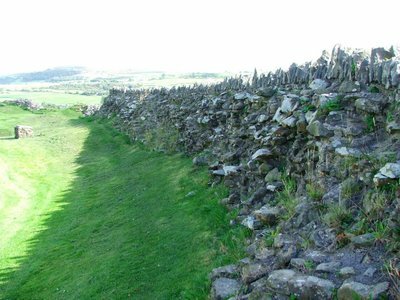 The footpath that runs through the deer park takes you right past the earthworks, although a deviation of a few hundred yards is required to explore the summit. It's well worth it with the views out towards Arnside and Sandside to the North, Dallam Tower below to the West, and the herds of deer all around the park. Excavations that took place at this site revealed pottery and the remains of several buildings within the protective earthen banks.